Expeditions will delve into the wild, looking for species that haven’t been seen for at least a decade. (Inside Science) -- Somewhere deep in the remote and largely inaccessible wetlands of northern Myanmar, Richard Thorns hopes to find a ghost. This fall, the ambulance driver and amateur ornithologist plans to leave his home in Crowborough, England to launch his seventh expedition in search of the elusive -- and quite possibly extinct -- pink-headed duck. The striking but shy bird was always a rare sight in the marshes of India, Bangladesh and Myanmar, and little is known about its behavior and habits. 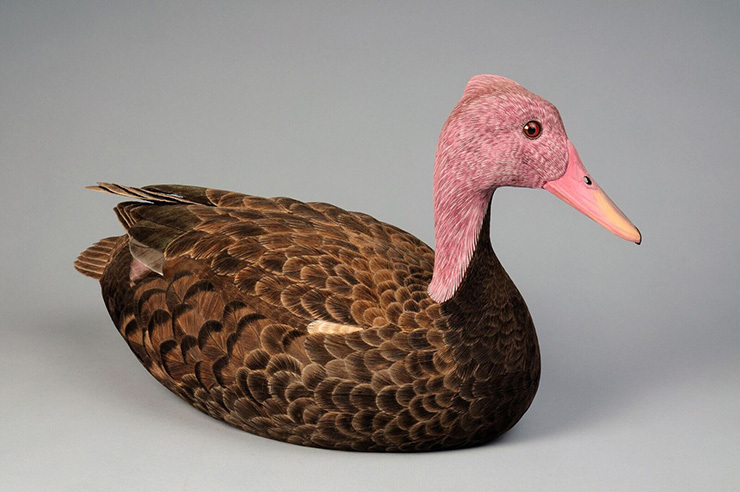 Its large, dark brown body, with characteristic pink plumage adorning its head and neck, has not been conclusively seen in the wild since 1949. But Thorns has made it his personal mission to prove that the bird is still out there. With help from Myanmar's Biodiversity and Nature Conservation Association, he found a promising location to begin his quest, along the Irrawaddy River north of the town of Bhamo in Kachin State. The search was filled with difficulties -- at one point, he and his unlicensed local guide learned that the authorities were looking for them, and had to sneak back into the village after dark. Still, Thorns persisted, embarking on five more expeditions in the subsequent years. While Thorns has never spotted his quarry on any of his trips, he has encountered several locals who claimed to have seen the ducks in the wild. So he is optimistic about his chances on the upcoming trip. He believes the closed nature of the country favors the bird’s survival, since areas remain where few people are allowed to travel. The pink-headed duck is just one of many species that have gone AWOL, with no definitive proof whether they are extinct or still alive. 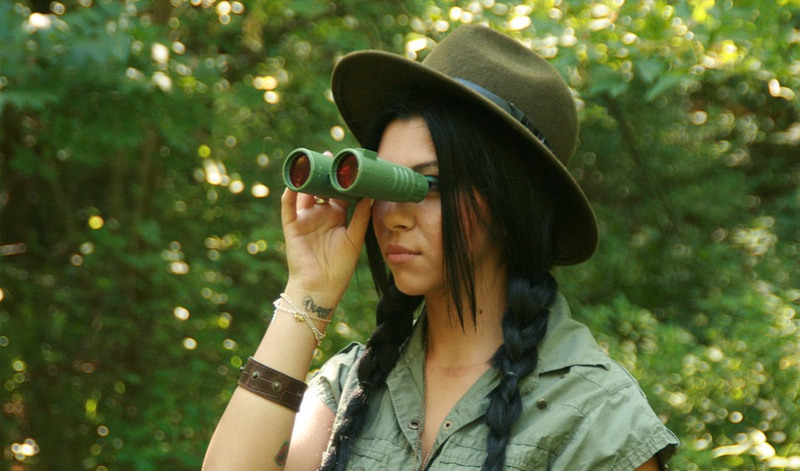 In an effort to find some of the missing and draw attention to their stories, Global Wildlife Conservation, an Austin, Texas-based environmental group, has launched the “Search for Lost Species” -- a worldwide hunt for animals and plants that haven't been seen for years. GWC spent almost a year consulting conservation specialists from around the world on which lost species they would most like to see found. Their initial list included more than 1,200 options. “It wasn't easy to choose,” said Robin Moore, a conservation biologist based in Austin and the project's leader. 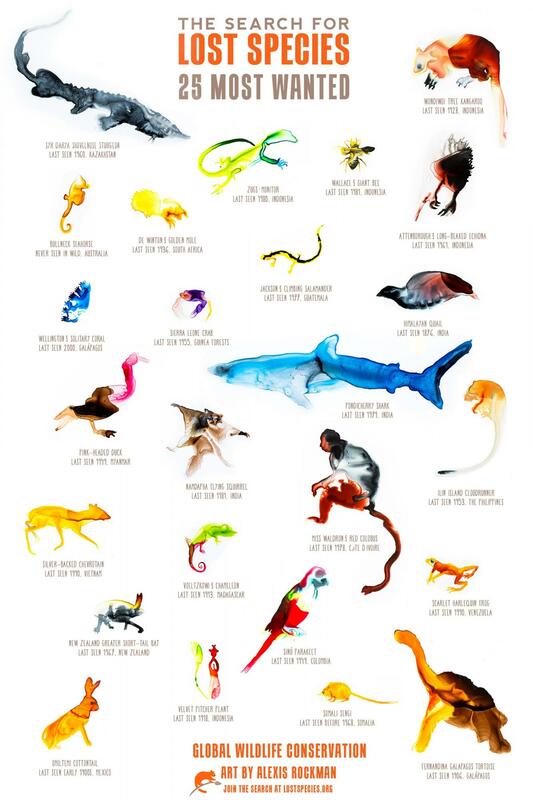 They eventually narrowed it down to the 25 “most wanted” species: 10 mammals, three birds, three reptiles, three fish, two amphibians, one insect, one crustacean, one coral and one plant. Some choices were a no-brainer -- the duck, for example, was nominated multiple times. Others had been missing for an impressive amount of time, like the Himalayan Quail, which has not been seen for 141 years. Or they were extra compelling mysteries, like the Bullneck Seahorse, which has never been spotted alive in the wild and was last collected, perhaps by accident in a fishing net, in 1996. In building the list, GWC worked to ensure that it included not only a wide variety of animals, but also a wide geographic spread covering many types of habitat and places where there are local partners who can help lead the search. GWC has some experience with this type of project. In 2010, the group launched the “Search for Lost Frogs” in partnership with Arlington, Virginia-based Conservation International, aimed at finding the top 10 missing amphibians. Within the first year they had rediscovered three -- including one from Borneo that hadn't been seen for more than 100 years, and one in Israel that had been declared extinct after 55 years without a sighting. There is a debate in the conservation community over whether high-profile, expensive campaigns focused on a few flagship species -- especially ones that may no longer exist -- are the best use of scarce resources. Ernest Small, a botanist with the Canadian department of agriculture in Ottawa who has written about conservation's fixation on flagship species, said he finds the lost species idea a bit gimmicky. “Now I don't mind gimmicks, but as ideas go this one seems a bit far out,” he said. He added that by focusing on large, attractive animals conservationists lose an opportunity to educate the public and politicians about the importance of preserving habitats and planetary ecosystems -- though he admitted that is a tough sell at the best of times. “[Focusing on big animals] is probably the best we can do” to get people's attention, he said. He wonders, then, if this collection of mostly small creatures that live in far-flung corners of the globe will be successful at getting donors in the Western world to open their wallets. “People like to support things that are big and exciting, like elephants, or that live close to home, like monarch butterflies,” he said. But finding a lost species is only the first step, warns Vié. The discovery can give the impression that perhaps the species is not in as much trouble as thought -- when in fact it is likely highly vulnerable, and will require protection. Small agrees. “If they find one, what are they going to do? These species are really at the brink, it will be hard to keep them going,” he said. Moore said GWC's commitment to a species will not end with rediscovery. They will also work to identify the threats it faces, and to preserve the habitat. During the frog search, for example, they helped to set up the first private nature preserve in Haiti to protect the six lost and new species of frog they found. Efforts like this have the added benefit of protecting everything else that lives nearby, noted Moore. For both the frog and new lost species project, GWC was careful to choose species that represent areas that are important to protect, he said. Eli Wyman with one of the only known Wallace's Giant Bee specimens. GWC is currently raising funds to support expeditions, and finding local partners that can help with the search and take the lead for ongoing conservation efforts. Thorns' duck hunt this fall will be one of the first, followed by an expedition to Indonesia early next year by nature photographer Clay Bolt in search of Wallace's Giant Bee -- the world's biggest bee, originally described by famed naturalist Alfred Russel Wallace in 1858. It was not seen again until 1981, and hasn't been seen since. All of the searches are probably pretty long shots, said Moore. But there are signs of hope. Local reports from Indonesia in 2007 provide some evidence for the survival of Attenborough's Long-beaked Echidna, named after naturalist David Attenborough and missing for 56 years. And though the Fernandina Galápagos Tortoise hasn't been seen since 1906, a 1964 expedition found possible droppings of the long-lived reptile, as well as cactuses that appeared to have been chewed by a tortoise. That search in particular fascinates Moore. “How do you lose a giant tortoise on an island?” he asked. Bolt, for his part, is cautiously optimistic for his bee hunt. The bee's habitat on a remote Indonesian island chain seems to be mostly intact, and he has been in touch with the 1981 team to learn about where and how to look. “It's certainly a vulnerable species, but most likely it's only missing because no one has gone looking for it,” he said. Thorns, though, figures he might be on the verge of a breakthrough. He has a theory that the ducks migrate seasonally within Myanmar, living in the wetlands of Kachin State during the wet season, then moving somewhere else during the dry season -- perhaps one of the numerous totally restricted military areas. Since most searches by ornithologists have been conducted during the dry season, it's possible the ducks have simply been elsewhere. “No one is looking in the wet season. The only people who have described seeing it to me have been fishermen or farmers, locals who are there year-round. So it must migrate somewhere no one is allowed to be,” he said. “I'm not thinking like a birdwatcher, but a cryptozoologist,” he said, referring to people who aim to prove the existence of creatures from folklore, like Bigfoot or the Loch Ness Monster. So on this trip, accompanied by the writer Errol Fuller and photographer John Hodges, Thorns will search the wetlands around Indawgyi Lake at the tail end of the wet season, when any ducklings will have fledged but should still be hanging around the nest. 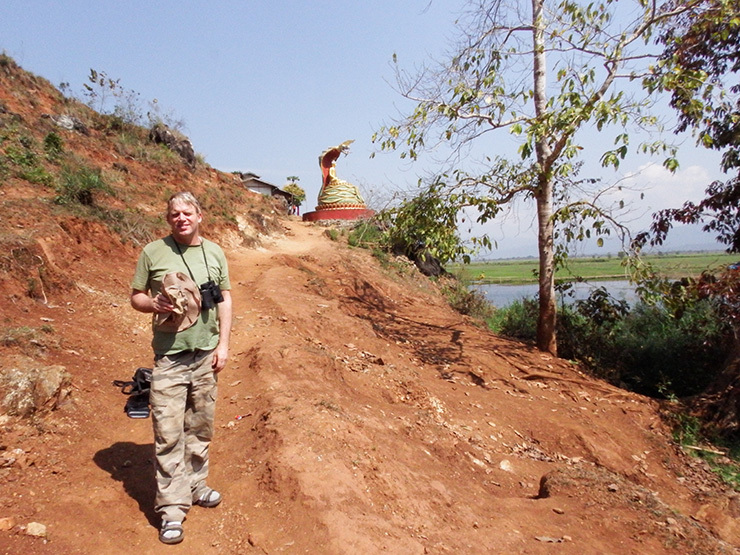 Richard Thorns at Indawgyi Lake in Myanmar on a previous expedition. And he's changing his search technique. Previous trips have involved paddling about in boats, which can only gently nose into the dense elephant grass where the birds nest. The retiring ducks, if they were there, likely just hunkered down and waited for the boat to move on, Thorns thinks. So this time he and his companions will use elephants to ride right through the grassy swamps, hoping to flush the birds out. “We're replicating the techniques of the British Raj,” he said. India's colonial rulers used to spot -- and shoot -- the ducks while hunting tigers from elephant-back in the 19th and early 20th centuries. Thorns said the birds are probably used to wild elephants in that area, so should not be unduly stressed by the search. “We might have to almost be on top of them before they break cover,” he said. With his new theory and new search plan ready, Thorns has high hopes that this trip will be the one that makes history. “I think I can almost say that the search is over,” he said. If the search for the duck, or any of the other most wanted species, indeed proves successful, it will be a huge boon for conservation efforts, said Moore. And it will provide an opportunity for us to do a better job of protecting these fascinating species this time around. “If we give them a second chance, they can surprise us,” he said. Brian Owens is a freelance science journalist and editor based in St. Stephen, New Brunswick, Canada, where he writes for a variety of international publications.